HealthRider treadmills are manufactured by ICON Health & Fitness, so don’t be surprised to see a lot of similarities between their machines and those from FreeMotion, ProForm or NordicTrack, also part of the same company. They sell treadmills, ellipticals, bikes and riders, which you will always find at reasonable prices and always for home use only. There are a few reasons why you might choose this brand. The folding system is easy to use with all models. The motors are quiet so you don’t hassle downstairs neighbors when you exercise. 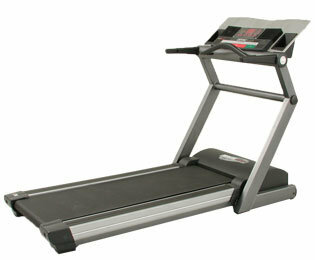 The extra warranty options are fair and cover all the possible risks when buying budget treadmills. As of 2015 many of the HealthRider treadmills are either iFit enabled or compatible, but the brand still seems to be less of a focus for ICON than most of the others. Having Tony Little as a spokesperson speaks volumes for us, and the brand has a very low end feel. Even their website is not as up to date as many of the others. We must warn you that these machines are not built to last too many years. The models we tested can support light workouts (10 hours a week) without problems. If you are an advanced runner or more than one person will be using the treadmill, you may have a hard time with replacement parts after one year. We would recommend a HealthRider treadmill to a person interested in staying in shape, has a small budget and needs to workout in the comfort of his or her home. We would not recommend it for more serious runners. Opt for a NordicTrack or ProForm instead if you are in this price range.